We're in Maine, after all. Food at Bowdoin is a big deal. 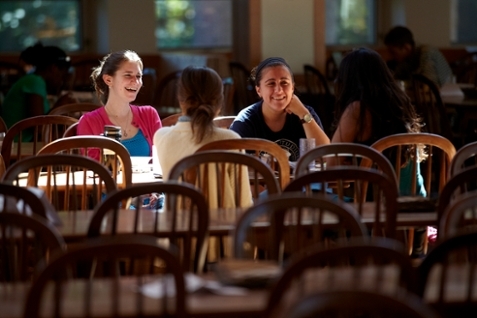 At Bowdoin Dining Services, we work hard to meet the changing needs—and sophisticated tastes—of our students. Within this site you'll find information about our various services, including catering, board plans, and accommodating special dietary needs. We're honored to cook for you and your family, and eager to help however we can: don't hesitate to get in touch with questions.